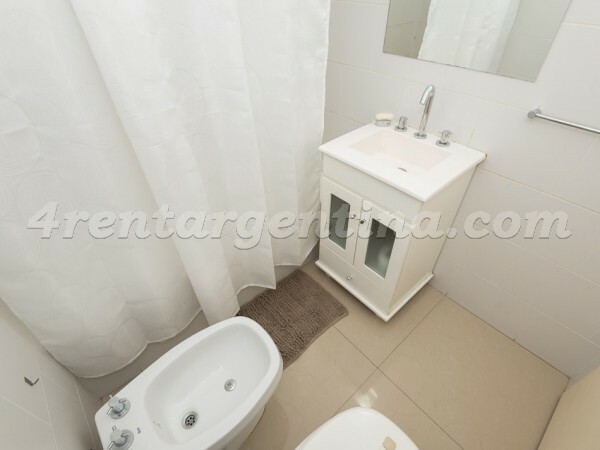 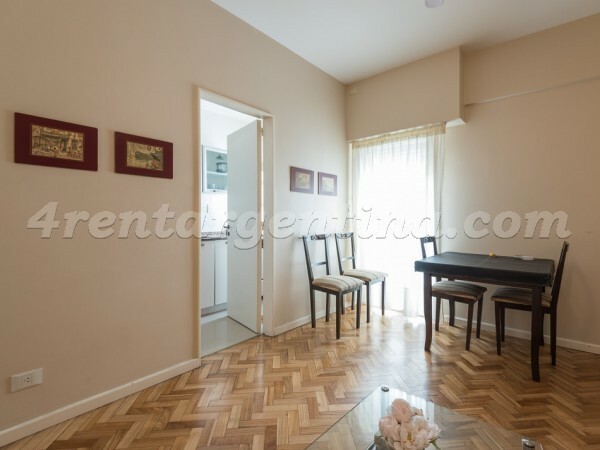 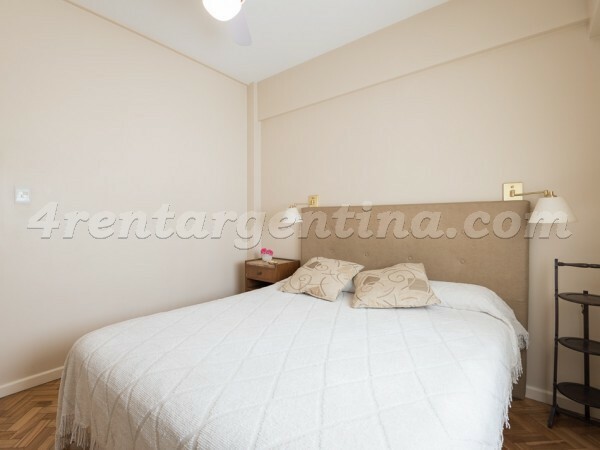 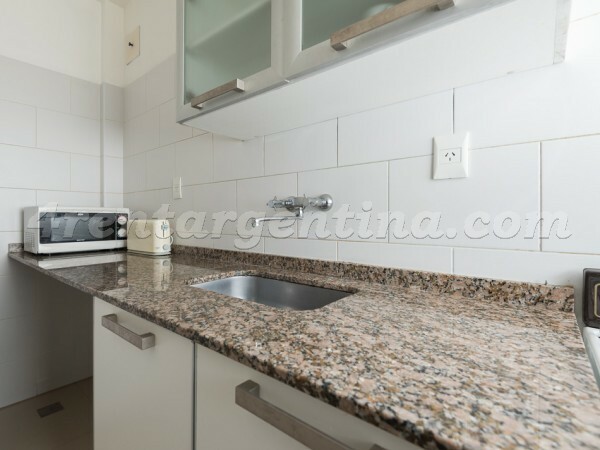 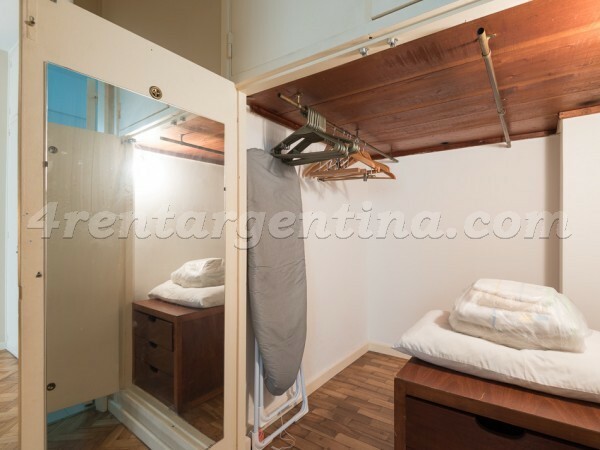 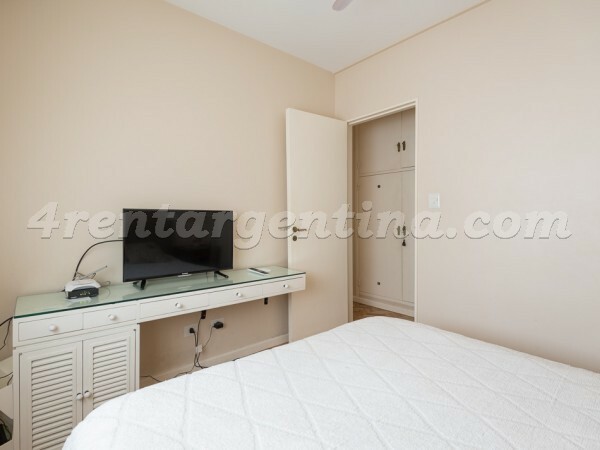 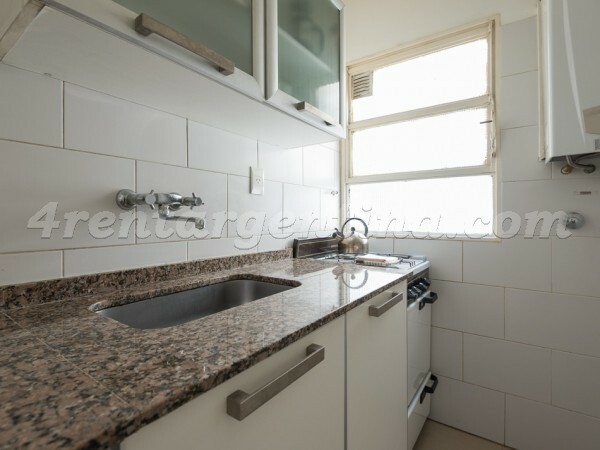 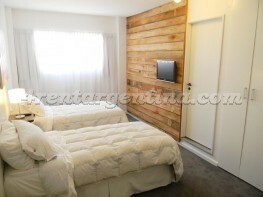 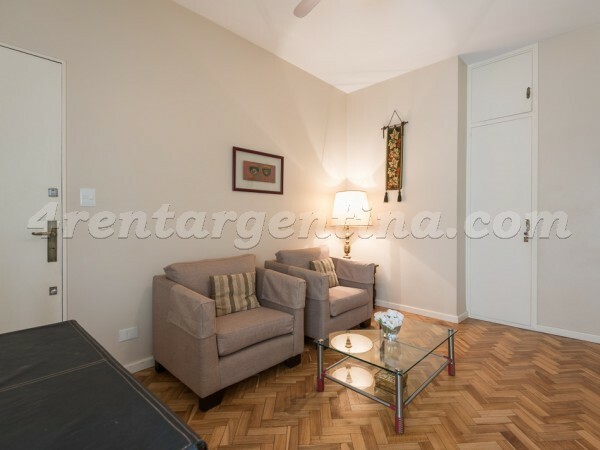 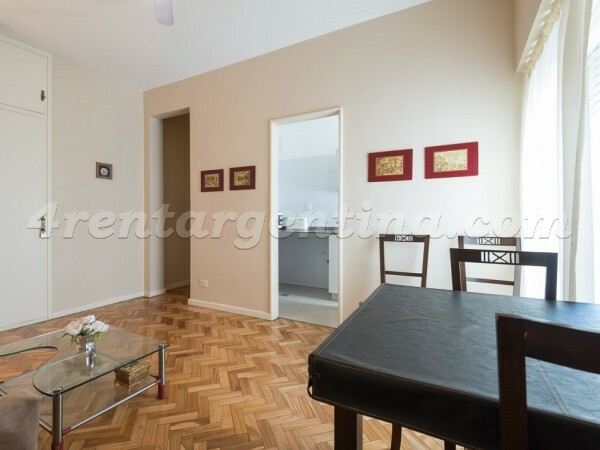 Comfortable furnished apartment for temporary rent in Buenos Aires, located in downtown Buenos Aires, a few blocks away from 9 de Julio, Cordoba and Santa Fe Avenues. 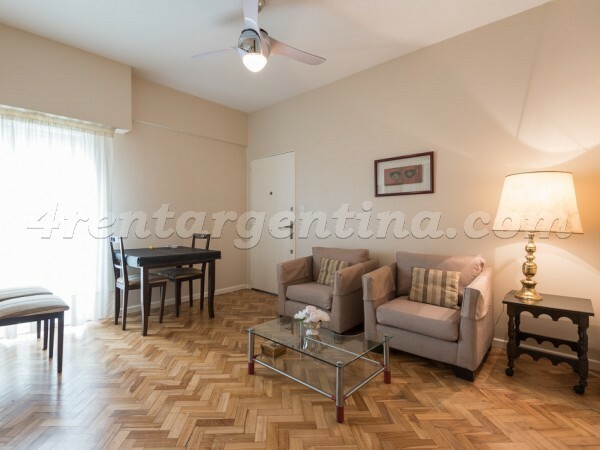 Close to the emblematic Obelisco, an area full of well-known theaters such as the Teatro Colón, different means of transportation, shops, bookstores, bars and restaurants. 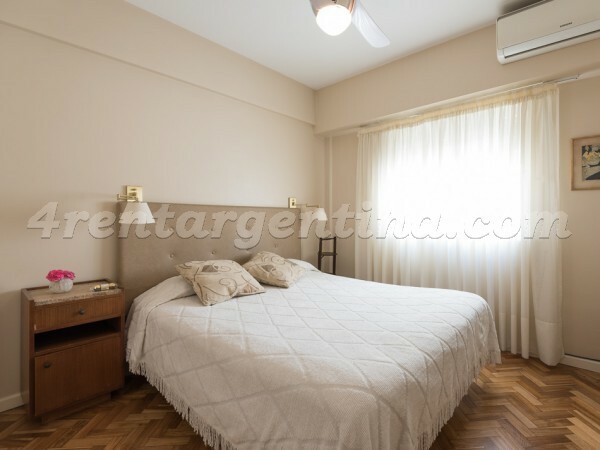 This apartment is ideal for two people, has a bedroom with a double bed, air conditioning and a large closet that is located in the corridor. 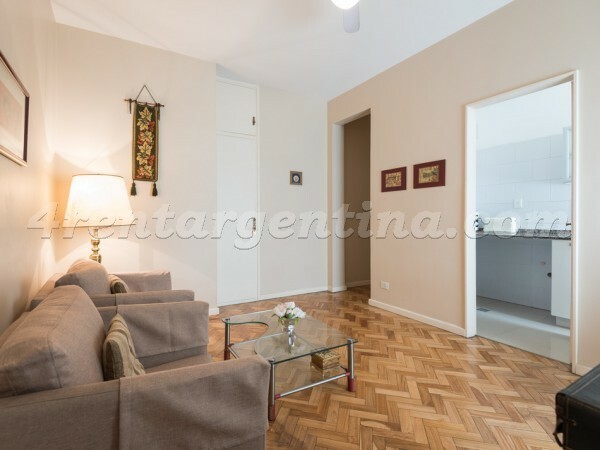 A bright living room with two armchairs and a table with chairs. 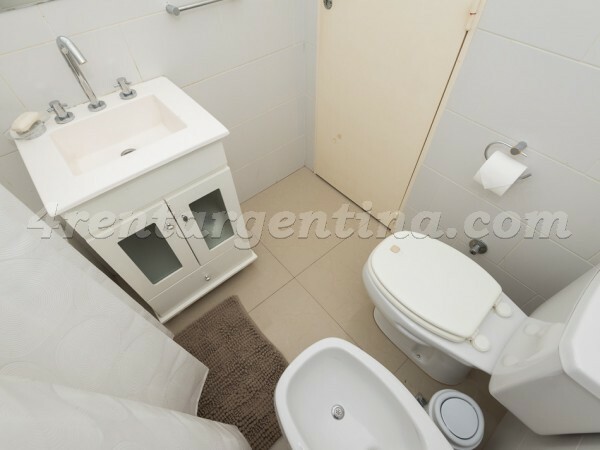 It has a kitchen equipped with oven, and a bathroom with tub and bidet. 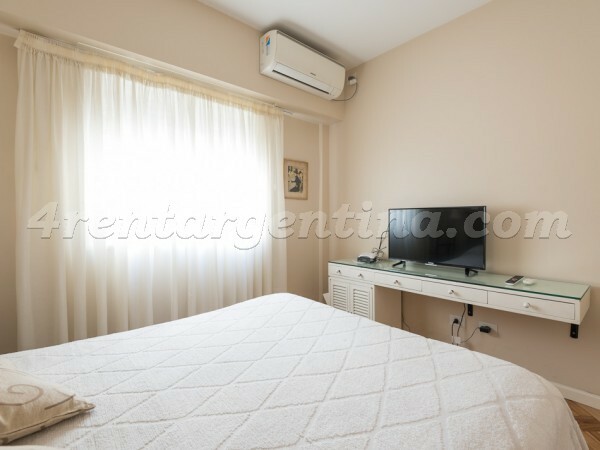 It also has ceiling fan in both the living room and the bedroom, under floor heating, LED TV and Internet service with WiFi. 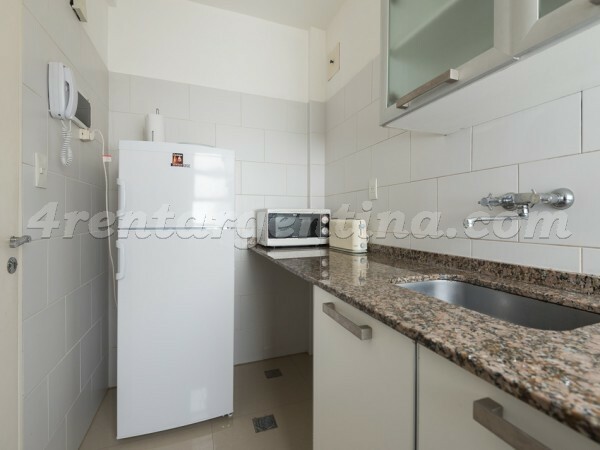 In addition, the building has security 12 hours a day. 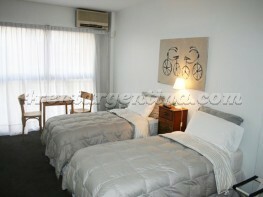 The rent includes weekly cleaning service.